3D printing is a technological trend and as with all trends, one should at least try to plan on its future development. So while we’re excited about every new applications, such as the rapid advances the industry is making to make the old traditional tooling industry much more efficient, we’re also excited about the medium term. That includes projects such as houses being 3D printed with biodegradable materials in record times – maybe not immediately relevant but clearly disruptive. Long term though, opportunities are even more disruptive. Our recently approved patent may be a while away from making us money, but importance and disruptive nature of distributed manufacturing is so significant that it’s worth investing every USD to make sure that people collaborate to make it happen. It is a stepping stone for a future infrastructure for production scale AM, one that’s made of building blocks yet to come. We are proud to give our work for the betterment of the industry as a whole, and excited to bring this vision to fruition along with other teams equally as hungry for innovation. PhD candidate Jimmy Toton from RMIT University in Melbourne, Australia, has won the 2019 Young Defence Innovator Award and $15,000 prize at the Avalon International Airshow for the research, which was conducted with Defence Materials Technology Centre (DMTC) and industry partner Sutton Tools. “Now that we’ve shown what’s possible, the full potential of 3D printing can start being applied to this industry, where it could improve productivity and tool life while reducing cost,” Toton said. 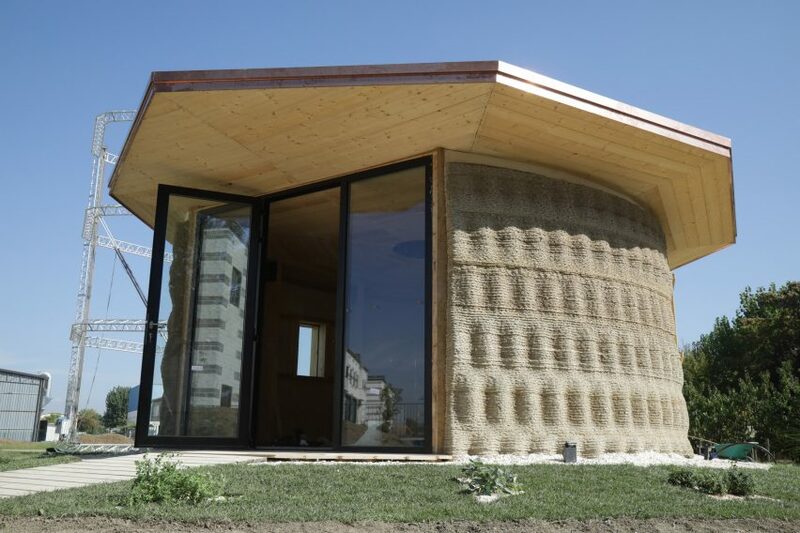 Italian 3D-printing technology developer WASP, built the house to showcase the abilities of Crane Wasp, a modular 3D-printer that can create homes in a variety of formats and sizes. Called Gaia, the 30-square-metre house has a 3D-printed outer shell and internal timber beams holding a timber roof. It was printed on site in Massa Lombardo, a town in the Italian region of Emilia-Romagna, in October 2018. Read the full article at Dezeen. Because patents are a business reality, filing one is a business decision. So when Authentise this week announced the approval of a new patent — for its “System, Method and Program Product for Digital Production Management” — the initial assumption was easy: they’ve decided to protect their IP. That’s not the whole case, though. Andre Wegner, Authentise’s Founder and CEO, confesses that as a rule he doesn’t “care much for patents.” So why file one? It is ultimately a strategic move, yes, but not one that Authentise really plans for itself. Rather, it’s a move to prove a much larger business case for digital manufacturing. Read the full article at Fabbaloo. 3D printing is still struggling to overcome issues regarding biodegradability and its ecological impact. We’ve been using materials for thousands of years that are of natural origin and can easily be disposed of. It’s been a challenge to translate that to the latest manufacturing tech around. Cellulose is having a comeback, as researchers are understanding how to create polymer structures from abundant and renewable raw materials. A new group of new biomaterials is being developed, some with transient properties, capable of degrading and dissolving on-demand. Nanocellulose has been invented in the 1970s as a food thickener and could be coming to a dish near you, made more palatable thanks to 3D printing. Advances in chemistry collide with the challenges of 3D printing to open the way for complex, smart and immensely useful organic materials. MIT scientists Dr. Sebastian Pattinson and Prof A.J. Hart have now published a possible method of 3D printing a derivative of cellulose as a substitute for environmentally problematic plastics, one which sidesteps previously encountered problems. […] As detailed in the research paper, after printing, the cellulose acetate parts can be converted to cellulose proper by de-acetylation using sodium hydroxide. 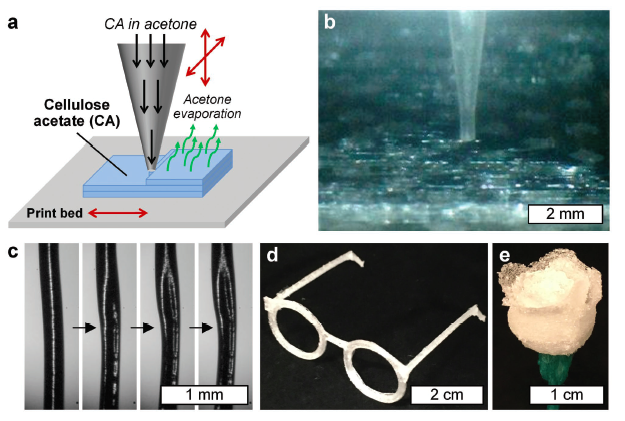 Biomaterials that can degrade on demand have been 3D printed by engineers at Brown University. The materials were fabricated by means of stereolithographic printing, which uses an ultraviolet laser controlled by a computer-aided design system to trace patterns across the surface of a photoactive polymer solution. The capacity of the materials to degrade is imparted by the development of reversible ionic bonds. Precursor solutions were prepared with sodium alginate, a compound derived from seaweed that is known to be capable of ionic crosslinking. Different combinations of ionic salts, including magnesium, barium and calcium, were then added to 3D print objects with varying stiffness levels, a factor which affected how quickly the structures dissolved. 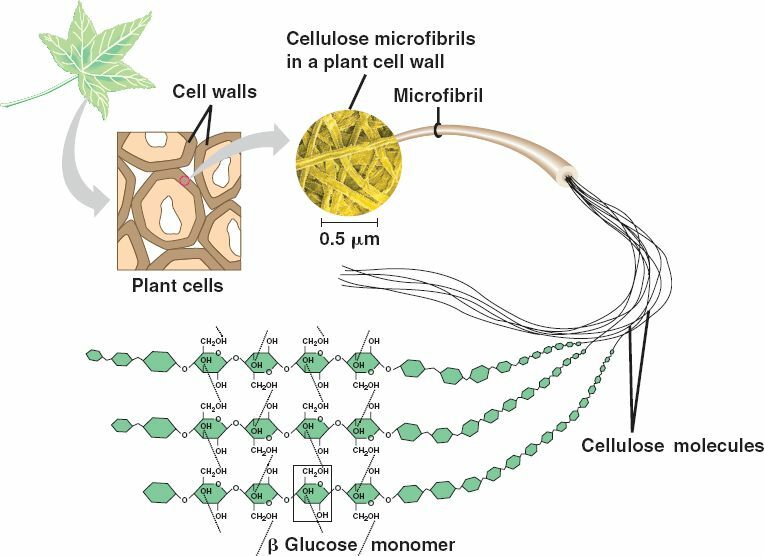 Can 3D Printed Nanocellulose Transform The Food Industry? If you wish to be kept updated on a daily basis on movements in the AM/IIoT world, as well as our service updates and events check out Twitter feed! We’ll be at Formnext 2017 between the 14th-17th of November! Come check us out at booth Booth # 3.1-A33. There are a lot of manufacturing dynamics which 3D printing is upending. It goes beyond design freedom, AM technologies allow us to be a lot more conscious of our footprint on the environment. We are still testing new grounds and so far AM is revealing to be a less wasteful, smarter approach to manufacturing. Not only can we build structures that utilize the barest minimum in terms of material usage, entirely new materials and techniques allow us to tackle the problems of biodegradability and energy consumption. Nonetheless, AM still has a way to go before it can get to the level of manufacturing performance of traditional methods. 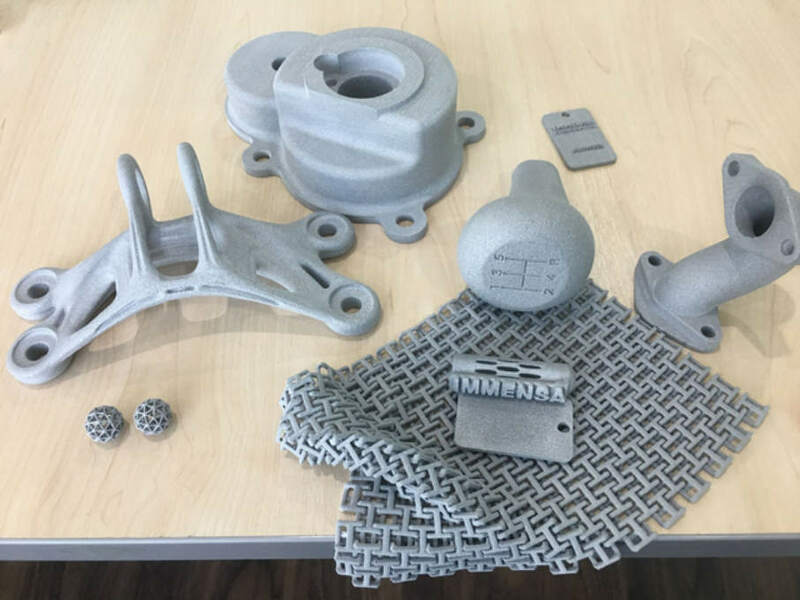 Laser sintering still requires a great deal of electricity to fuse metal particles, most processes are imprecise by traditional standards and most groundbreaking AM applications are still very much R&D. This point reinforces the fact that AM should cover its role in a broader hybrid manufacturing system, in which the optimal outcome in terms of manufacturing footprint and item accuracy can be achieved. There is no holy grail solution in manufacturing, just an ever expanding toolset to give you the right means to get optimal ends. Building on Demand (BOD), the latest venture of Danish firm 3D Printhuset, marks a major breakthrough for additive manufacturing in construction. 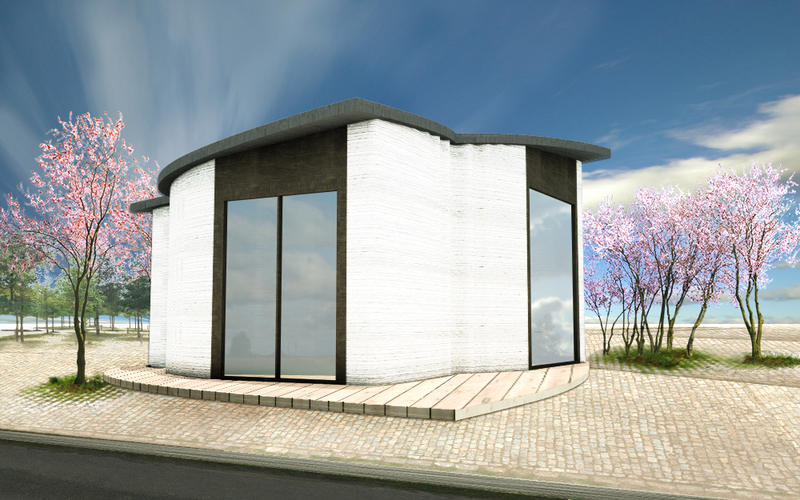 The concrete office-hotel structure, occupying just under 50m of floor-space, is due to be 3D printed in Nordhaven, Copenhagen’s docklands area, and will be Western Europe’s first inhabitable 3D printed building. Jakob Jørgensen, Technical Manager at 3D Printhuset, explained in a press release that 3D printing the building over traditional construction meant that “complex forms can be entered at no additional cost”, while Michael Holm, the company’s development manager, emphasized the use of up-cycling and waste reduction in building materials. Biomaterials that can degrade on demand have been 3D printed by engineers at Brown University. The materials were fabricated by means of stereolithographic printing […]. The capacity of the materials to degrade is imparted by the development of reversible ionic bonds. Precursor solutions were prepared with sodium alginate, a compound derived from seaweed that is known to be capable of ionic crosslinking. Different combinations of ionic salts, including magnesium, barium and calcium, were then added to 3D print objects with varying stiffness levels, a factor which affected how quickly the structures dissolved. Read the full at IEEE. Researchers in Penn State’s Materials Research Institute, led by Clive Randall, recently discovered a process that could revolutionize the manufacturing industry. Known as cold sintering, the process could be used for developing materials we use every day, such as bricks and glass, at a much lower energy cost than the process used today. The researchers have shown their new process can be used to make at least 50 materials, and they are continuing to expand their research to incorporate additional materials. If you wish to be kept updated on a daily basis on movements in the AM/IIoT world check out Twitter feed! It is certain that AM is now becoming a staple of every product development laboratory on the planet. Some companies are taking their position to a whole new level by putting efforts and resources in AM innovation hubs. These facilities elevate the ability to delve deeper into AM, both in the present product development and in technology research for tomorrow’s machines. Private companies, like Parker Hannifin, are investing big in new facilities which will allow their engineers to explore new applications of emerging technologies and up their industrial advantage. On a larger scale, the UAE has recently opened their first ever 3D printing facility, part of a strategy to be world leaders in AM by 2030. 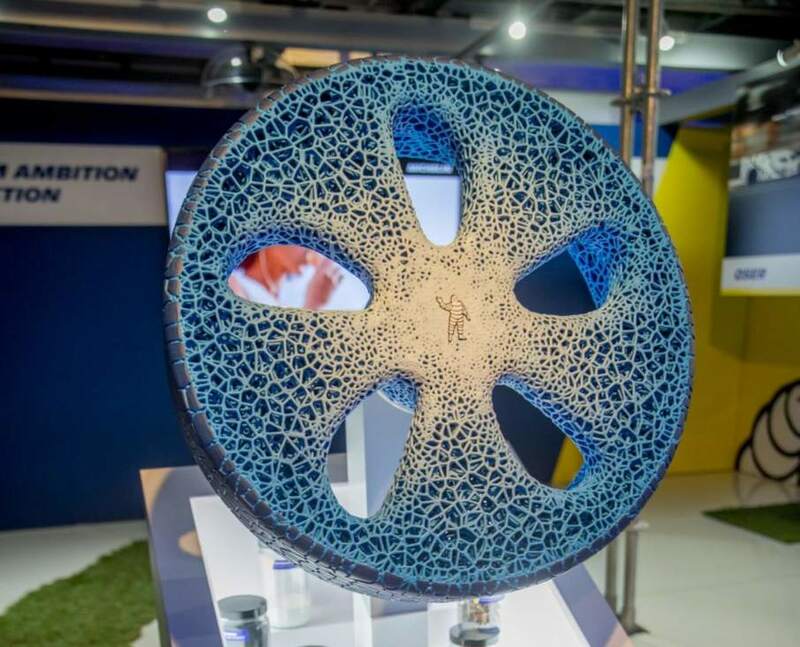 By focusing so much on the capabilities of AM, businesses can come up with novel products for their market: Michelin came up with a new concept tire entirely revolving on 3D printing technology. Parker Hannifin Corporation, the global leader in motion and control technologies, has opened a new state-of-the-art advanced manufacturing learning and development center […]. The facility will serve as a center of excellence where Parker engineers can explore new applications of emerging technologies such as additive manufacturing and collaborative robotics. Read more about the lab here. At its International Mobility summit, Movin On, French tire manufacturer Michelin unveiled a new concept tire that is both airless and created with a 3D printer. Announcing the tire this week in Montreal, Canada, Michelin proposes a design for the future of sustainable mobility. The tire is rechargeable, biodegradable, complete with sensors for real-time monitoring, and claims to be completely 3D printed. Read more about the concept tire here. That’s it for this week, don’t forget to come back next week for another edition. In the mean time, our Twitter feed will be giving you constant updates on our services as well as the AM/IIoT world so come check it out! Week in Review: Sept 5th to 11th – GE in the game! Hello and welcome back to another Week in Review! This has been a HUGE week for GE as it rocked the 3D printing market bidding $1.4 billion for the acquisition of SLM Solutions and Arcam. Its push into the AM market has been a driving force in the industry for years and now it’s looking to become the one actively pulling the strings. Here’s a good review of the deal. On the side we have exciting news coming from R&D around the world: telecommunications will soon get a major boost from 3D printed fiber optic tips and South Korea puts yet another 3D printed implant advancement in its wide ranging surgical arsenal. General Electric launched bids on Tuesday to buy two of the world’s top makers of machines for metal-based 3D printing – Sweden’s Arcam and Germany’s SLM Solutions – for a total $1.4 billion to bolster its position in the fast-growing technology. “Additive manufacturing will drive new levels of productivity for GE, our customers, including a wide array of additive manufacturing customers, and for the industrial world,” GE Chief Executive Jeff Immelt said in a statement. A joint team of researchers have developed a new and innovative method for 3D printing minuscule but highly complex structures on tips of optical fibers, which have diameters as small as 125 micrometers. … “The development of this new technology offers many advantages in terms of reproducibility, flexibility in the design of optical structures, as well as cost” – Keiko Munechika, co-authore of the study. Read the full article at 3ders. Professor Yoon Won-soo from Korea Polytechnic University have developed a new biodegradable 3D printed implants’ material which will not only greatly avoid any complications but could also accelerate the regeneration of natural tissue. We’ve been using patients’ own bones to produce the implant for quite a long time, which could cause damage to the patient. This new material, however, could be made into satisfactory implants directly and is easier to implant with only two hours’ printing time compared to the original eight hours. Authentise is sponsoring the Additive Manufacturing Conference 2016 this year. Check it out!